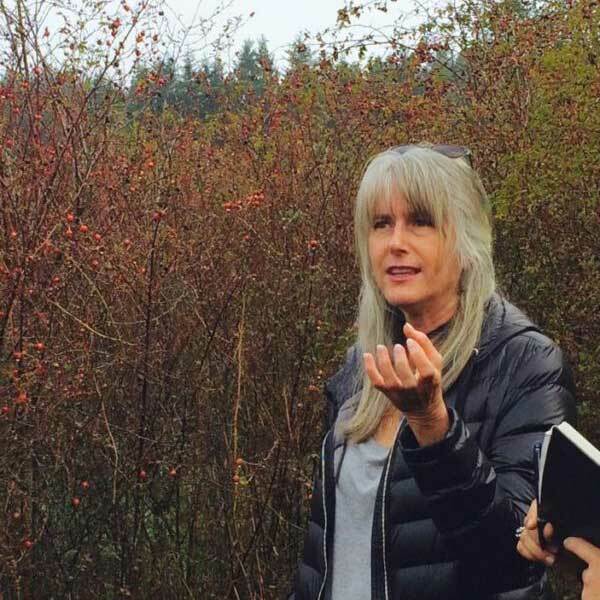 In addition to the classes and workshops offered by Cedar Mountain Herb School, Suzanne is available to present workshops at hospitals, clinics, garden clubs and other organizations, as well as private instruction. The following are the most popular topics that people ask Suzanne to talk about, however, a talk or workshop to fit your group may easily be created. While most workshops are 3 – 6 hours with student participation in hands-on medicine making, each workshop, with the exception of the wildcrafting adventures, may be condensed to a one hour talk. Herbalists use bitters to support a healthy digestive system. We’ll discuss the anatomy and physiology of this body system and how bitters go far beyond digestive health to weight loss, reversing chronic inflammation, and much more. We’ll even delve into the compounds that present the bitter profiles in the herbs we study during the workshop. Let’s take the confusion out of what seems conflicting information, and whittle it down to practical no-nonsense herbal medicine for a variety of ailments including congestion, stress and anxiety, pain and inflammation, fatigue, and infections. Sample remedies and take home a wealth of easy to understand information that is effortless to implement into daily life. I’ll unpack the medicine of my 10 most wanted wild plants of the Pacific Northwest, with best preparations for extracting and preserving the medicine, and appropriate applications. I’ll even throw in geeky science stuff like the specific chemicals found in each plant that will give you the “how and why” of what the plants do in YOUR body. That is what’s different at CMHS. We dive deep inside the plants and our bodies to go beyond simply “this herb is good for this issue.” This also gives you street cred when talking about herbal medicine with those who might be skeptical. Nervine herbs are common here in the Pacific Northwest, both on land and sea. We’ll explore herbs, nutrition, and practices to soothe, calm, and heal our nervous systems and cope with panic/anxiety disorder. Nature provides an amazing diversity of pain relieving plants right here in the Pacific Northwest. It’s a veritable apothecary here! We have plants that work as on the spot analgesics to relieve muscular and skeletal pain, and central nervous system suppressants which work well to relieve all over the body pain, neuralgia and migraines. The good news is – there’s relief on the horizon for you and your loved ones. Building strong immune, reproductive, respiratory, cardiac and digestive (including the liver!) systems. Covers herbs appropriate for health issues for each system. We never know when an emergency situation will occur. Be prepared by learning in advance the best ways to use the right plants – whether at home, on the road, or in the wilderness. Medicinal oils, salves/balms, tinctures/elixirs, toner, oxymels, antiseptic spray, pain-relieving liniment, plant-infused honeys, herbal vinegars. How to make remedies, case study stories, appropriate uses and dosages, and crowd-pleasing ways to use them. Part demonstration, part student participation. Students will take home a remedy they’ve made during the workshop. Common herbs like sage, rosemary, oregano, peppermint, and thyme not only bring beauty and pollinators to your garden, but are antimicrobial and antifungal to boot! We’ll explore the folklore, medicine, care, and feeding of these herbs plus blue elder, monarda, fennel, echinacea, lovage, and more medicinal plants that can be easily added to your garden to build your herbal apothecary. During the wildcrafting adventure, students gather wild herbs, process plant matter, and make appropriate remedies for the topic. Each adventure covers medicinal uses for the plants harvested, case study stories, anatomy and physiology, with best preparations for extracting and preserving the medicinal constituents, and appropriate applications. Plants harvested will depend on time of year and availability. We will meet at Snoqualmie Falls, then carpool to the harvest site. 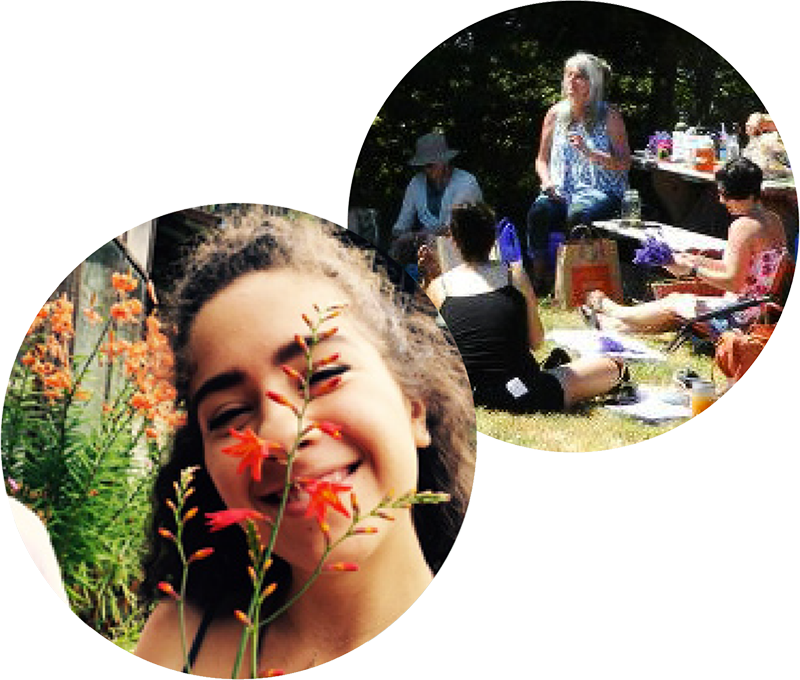 Email Suzanne@cedarmountainherbs.com with your request for a workshop subject, and she will design one especially for your group. Suzanne does not instruct long or short term apprentices one-on-one due to time constraints and teaching schedules. Suzanne is an engaging teacher whose extensive knowledge comes from decades of field experience. Her favorite workshops involve actually being in the garden and wild spaces! 1 hour speaking engagement: $375, plus travel expenses for groups up to 10. Email for pricing for larger groups. 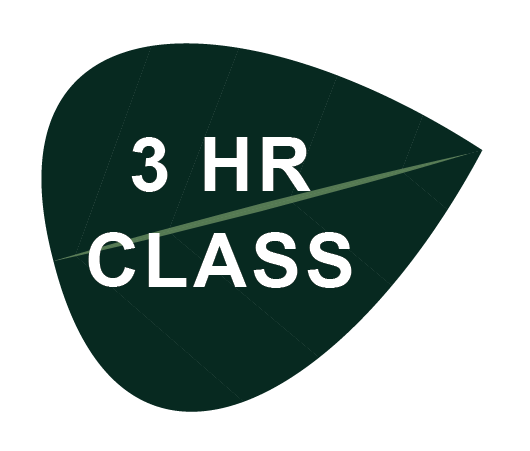 3 hour workshop: $135 per student, plus travel expenses. Minimum 6 students, maximum 13. 4 hour workshop: $175 per student, plus travel expenses. Minimum 6 students, maximum 13. $600 for workshops, plus travel expenses. 4 hour workshop. 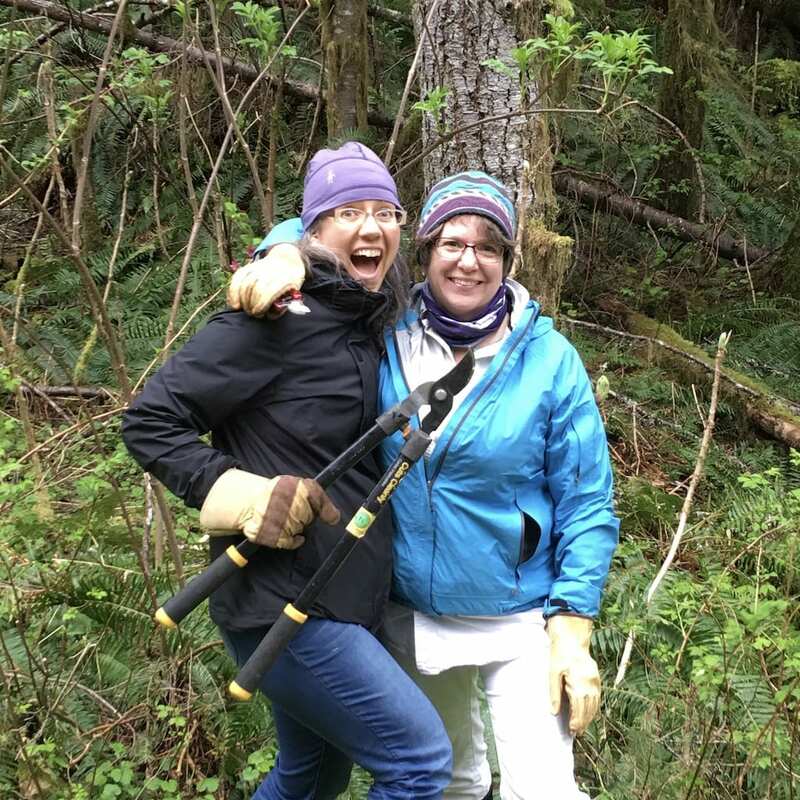 $250 for wild medicinal plant walks, plus travel expenses. 2 hour plant walk. Suzanne is available for wild medicinal plant walks, either in a group setting or private one on one session. Typically, she will lead you around your property, if you choose, and introduce you to the medicinal plants living there. You’ll be amazed to discover nature’s apothecary! The wild medicinal plant walks can be conducted in wilderness areas, city parks and trails, backyards and acreage. Walks focus on plant ID, harvesting methods, ethnobotany, medicinal uses for each plant, and foraging for edibles. $250 for private one person instruction, plus travel expenses. $95 per person for a group walk, plus travel expenses. Minimum group size is 5 students, maximum 13.